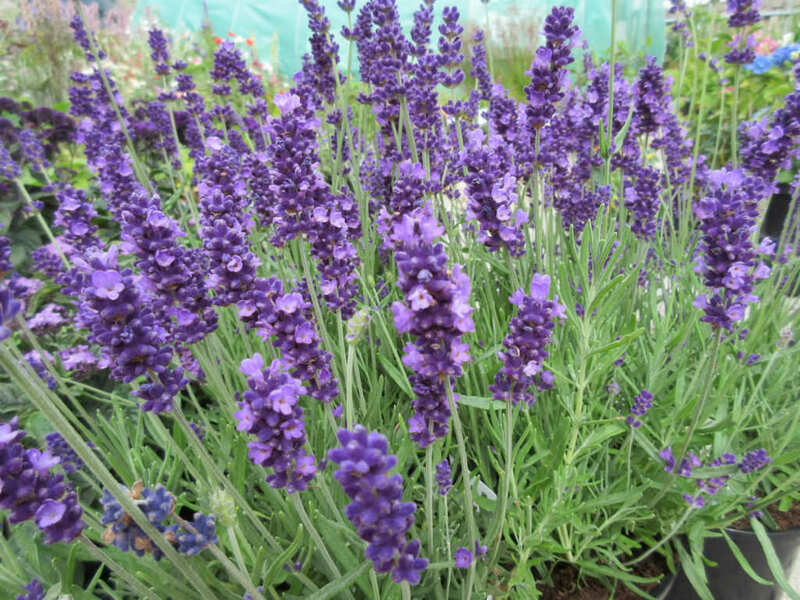 Lavandula angustifolia ‘Hidcote’ is a bushy, dwarf, evergreen shrub with usually narrow, simple, entire, toothed or lobed leaves and small deep violet-purple flowers in dense, aromatic spikes up to 1.6 inches (4 cm) long. 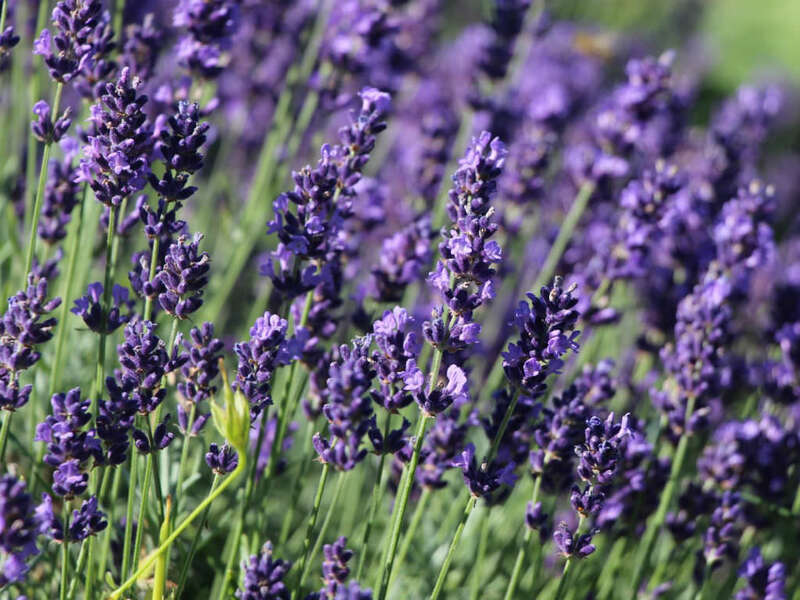 It’s one of the most popular Lavenders and blooms once in late spring or early summer. 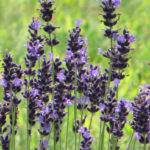 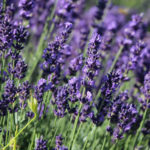 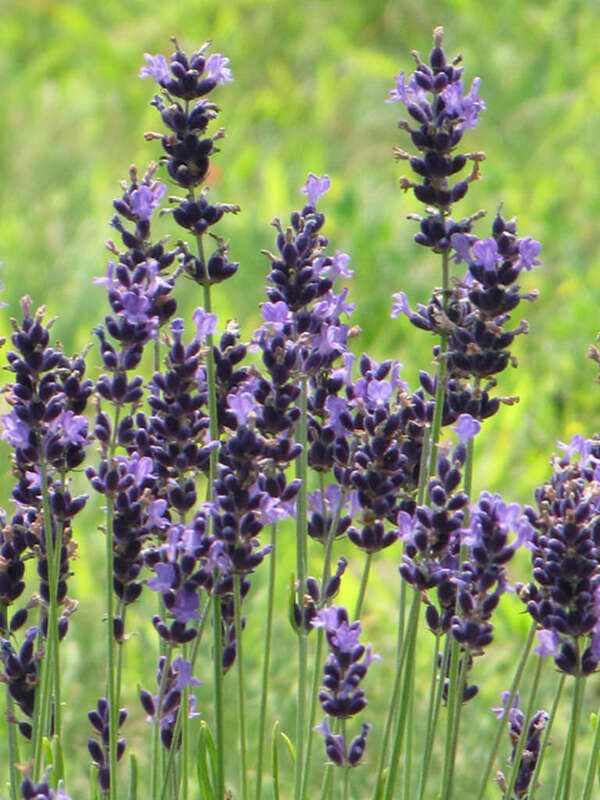 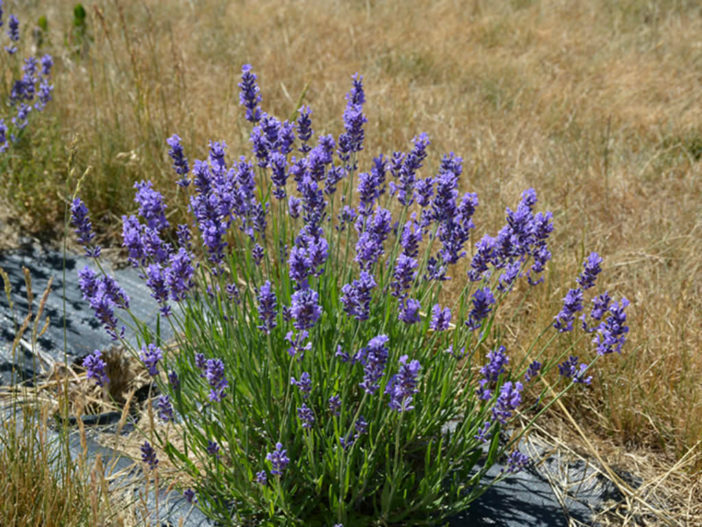 Although most Lavenders are labeled hardy in USDA Zones 5 – 9, while you can grow Lavender in USDA Hardiness Zone 5, it is unlikely you will ever have a Lavender hedge. 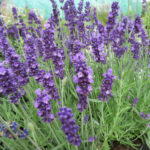 More realistically you can expect to have plants that will do well when the weather cooperates and to experience the occasional loss of a plant or two after a severe winter or a wet, humid summer.